Why Should I Always Have Uninsured Motorist Coverage For My Car? In this video, John Griffith of GriffithLaw discusses why you should always have Uninsured Motorist coverage for your car. 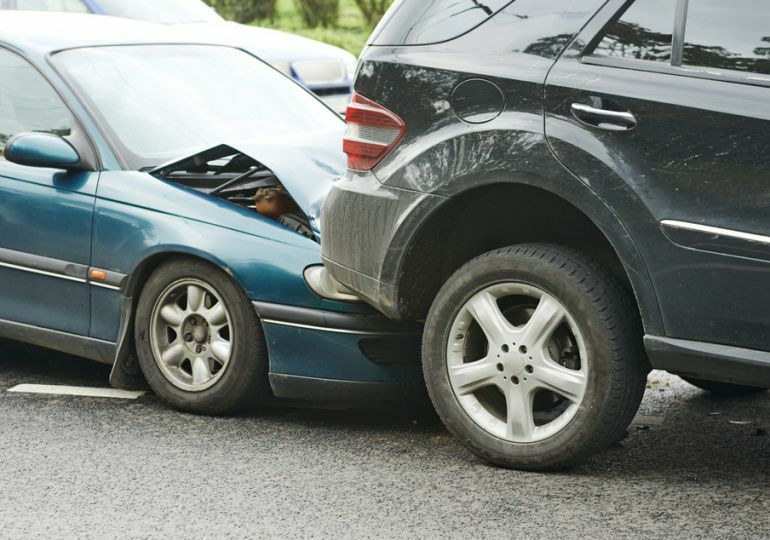 Many times when I have clients who have been involved in a wreck, one of the first things that I want to know is what type of insurance coverage they had on their car. It’s important because we don’t know the full extent of the coverage that the other person that hit you has covering their car. Tennessee is one of the few states that does not allow you to discover the insurance coverage held by the person that hit you. If a person crashes into you or your family, why would you be worried about uninsured motorist coverage? The answer is because your uninsured motorist coverage also acts as what is known as “under” insured motorist coverage. For example, If you have a claim from a serious incident that exceeds $100,000 and the person that hit you has “full coverage”, that person may only have $25,000 of coverage. $25,000 is the state minimum to meet the car insurance requirements to be legal in Tennessee. If you have your own Uninsured Motorist policy where you purchased $100,000 or $250,000 of coverage, you will be insured up to the amount of your coverage, whichever amount you previously chose. The coverage of your car under your uninsured motorist coverage effectively takes the place of a lack of enough coverage by the party that hit you. Another good rule of thumb is to ask your agent how much it costs for $1,000,000.00 umbrella of uninsured motorist coverage, or for the highest amount of coverage they provide. Usually, Uninsured Motorist (UM) policies max out at $500,000 of coverage in Tennessee. You will be surprised how affordable it is for 6 months of uninsured motorist coverage at $500,000 – usually less than the price of taking your family out to dinner. Many people are surprised to learn that their own insurance company will often hire a lawyer to defend the person that hit them in the event that that person had no insurance coverage or not enough coverage. This can be problematic because when people first report a loss, they may tell their own insurance company things about their case they wouldn’t reveal to the other insurance company. Many times when you first give a statement to your insurance company and report the claim, you’re not aware that your insurance company will later use this information against you in the event that they hire a lawyer to defend the person that caused all of your harms and losses. This is the reason that I always preach that you need to be very careful about trusting your own insurance company. Whenever you have a high limit of uninsured motorist coverage, you’re insuring every other person on the roadway that might cross over that center line and hit you head on. Another reason why you need to have uninsured motorist coverage is that it will typically protect you in the event that you are a bicyclist. We represent a lot of cyclists in our firm, and a lot of times their own uninsured motorist coverage from their car will cover them in the event that they’ve been struck by a passing vehicle. If you’re a pedestrian and you get hit by a car, your uninsured motorist coverage will protect you. Always, always, always make sure that you have uninsured motorist coverage at the highest limits possible. I share this to give you information and insight as to how personal injury cases are tried and litigated in the state of Tennessee. If you have questions about your case – I want to speak with you. Call me at 615-807-7900 or email me. Thank you.